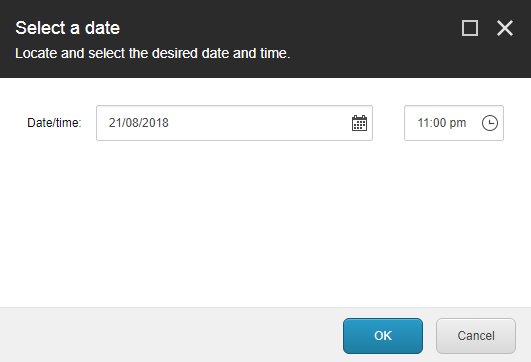 Does anyone know how to make the Experience Editor date picker show the proper format? I've already reviewed a similar-looking question, but our DatePicker.js already had the updated code, so that's not the issue. Sitecore has a hotfix for this issue (reference number 51661). Fixing the issue involves adding the Sitecore Support DLL (Sitecore.Support.51661.dll) and making a modification to the SPEAK presentation details of the SelectDateTime dialog in the Experience Editor to use the new type from the DLL. Sitecore support sent me a link to the following KB article. 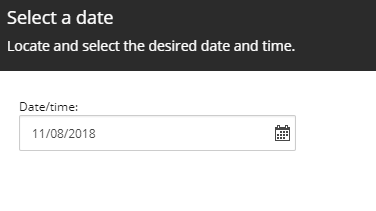 So what I ended up doing was modifying the sitecore\shell\client\Business Component Library\Layouts\Renderings\Common\DatePickers\datepicker.js file. this.model.set("isEnabled", this.model.get("viewMode") != "calendar" ? this corrected my issue as shown in the screen shot. Not the answer you're looking for? Browse other questions tagged sitecore-client experience-editor or ask your own question. How do I construct a reasonable JS implementation of canExecute() for an Experience Editor Button?